JJ Smith was established in 2003 when after 17 years of service Jeremy Smith left his foreman role at Devoran Joinery to set up his own bespoke joinery business. Due to the growing success of this company, it became apparent that it would need to expand. Jeremy’s former Devoran Joinery colleagues Brian Best and Daniel Osborne approached Jeremy with their own plans to set up a new joinery and together formed JJ Smith & Co Joinery Ltd. In September 2007 JJ Smith & Co Ltd moved into new premises on the old Devoran Joinery site. JJ Smith & Co Joinery Ltd provides a complete bespoke joinery service to architects, building contractors, designers and individual clients. The expansion and establishment of the company, the move to the larger premises and investment in specialist machinery means that JJ Smith & Co Joinery Ltd is able to manufacture all specialist Joinery products to your specific requirements. 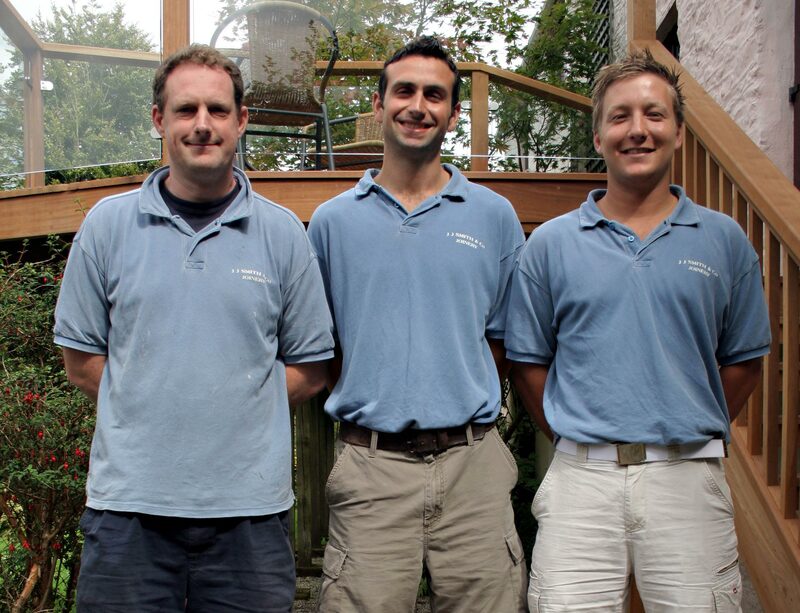 The experienced team of skilled joiners have worked on award winning projects in Cornwall and further afield. In 2010, we celebrated the New Year purchasing Devoran Joinery. We are now happy to be in a position to offer back to its old customers the same thorough attention to detail and workmanship they had grown to trust.